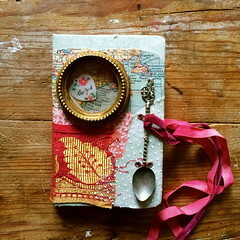 I am finally settling into life in Cortona, I have moved into my house, Casa San Marco a few days ago, after staying with different friends for a few weeks and I have to say, it is wonderful to finally be home, get grounded, it has been somewhat stressful few weeks of transitioning from the U.S. life to this one. The past few days I have taken to walking up to the summit of the Church of Santa Margherita, Cortona’s patron saint. The church sits up to of the mountain of Cortona, overlooking the valley below, it is spectacular. 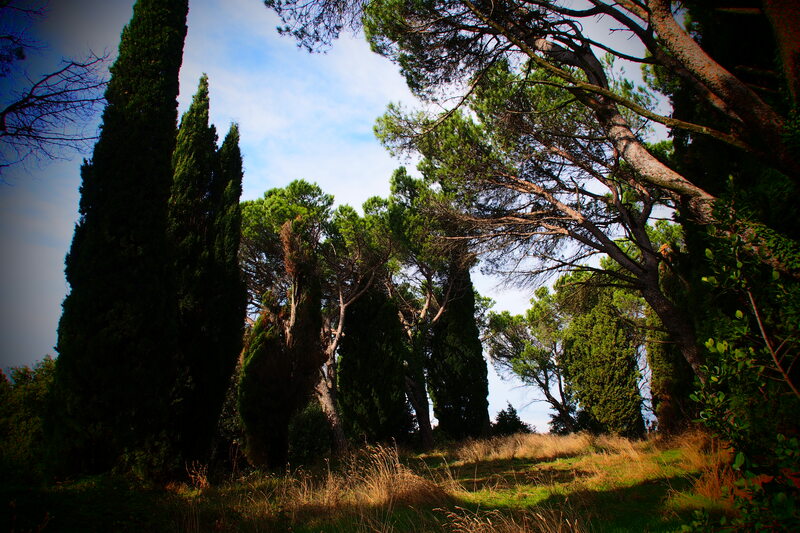 Right below the church, there is a grassy field, that is encircled by cypress trees, overlooking the view. It is a magically tranquil place and I have started going there to meditate, breath, do yoga, and simply be. Today was one of those days. After feeling as calm and as centered as I could possibly get, I made my way up to the church. I often light candles for people that I care deeply for, in whatever church I happen to be in. I have always loved this statue of the Madonna, and have lit many candles here over the years. Today I lit several candles for a friend who is in the midst of an extremely difficult family crisis. I send them all positive energy and prayers. Then, the most wonderful thing happened. I noticed one of the Franciscan nuns, talking to an American tourist and she was attempting to explain the story of Santa Margherita’s life. He did not understand her and said he only spoke English. I intervened and translated what she was saying to this man. She was elated that I spoke Italian, but the man quickly lost interest and wandered off. I told her that I was very interested, would she please tell me the story? 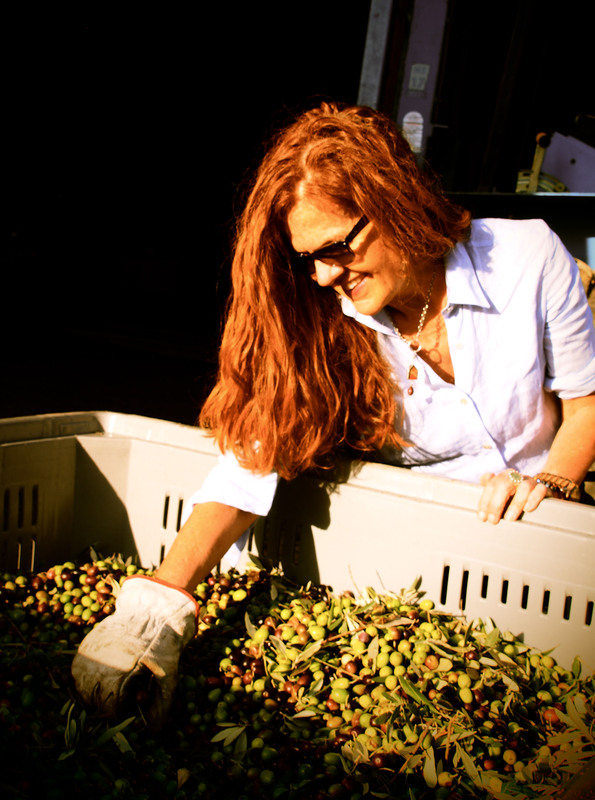 She told me the entire story of Santa Margherita’s life, some of which I knew and some things I did not. 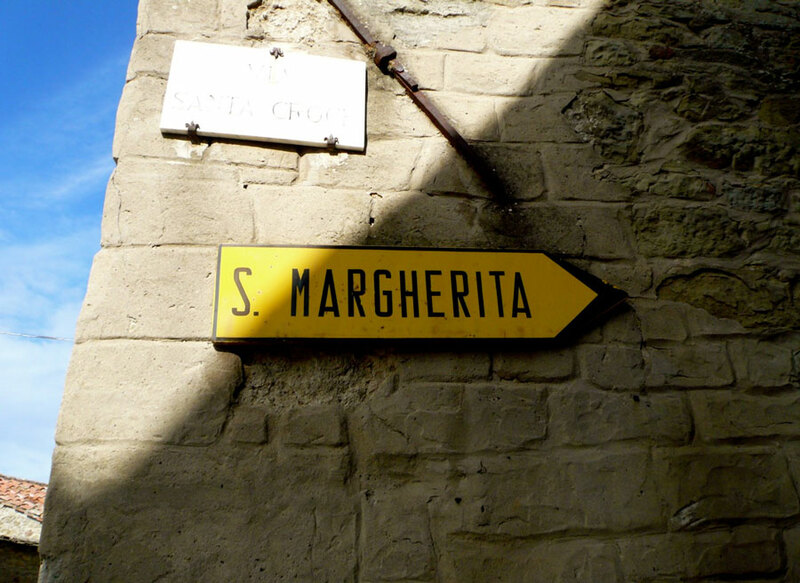 You can read about Santa Margherita here. I thanked her profusely and then asked her name. I told her that I hoped to see her again. She asked my name and I told her, Stacey. This perplexed her, having never heard such a name, so I told her it was an American name, but the Italian equivalent would be Anastasia. Comprehension registered on her face and she was happy to have understanding. I then made my way over to another candelabra that I noticed in the corner of the church, and lit some more candles for my friend in crisis. I sat on the bench near by and closed my eyes for a moment and when I opened them, Sister Teresina was standing in front of me. I followed her in back of the altar, to a locked room that required her to fish out a huge set of massive keys from under her frock. She opened a door that beheld a beautiful sunlit room with centuries old paintings of various saints that lined the room . In the middle of the room was a massive wood table that had a ceramic bust of a woman. Suor Teresina explained that it was a reconstruction of Santa Margherita’s face , that was made by a local artist 7 years ago , using computer technology combined with the actual 800 + years old mummified Santa Margherita that rests in a glass case up at the head altar of the church. She says not may people get to come to this room. Then she said that I looked like the statue. Not so sure about that but maybe to her I did. She let me take a photo of the statue but would not let me take a photo of her. I snuck a photo in anyway, a few moments later when we went back out in the main church. It was a remarkable, other worldly half hour space of time that seemed endless. I have a new friend. Suor Teresina. I told her I would be back for more stories and visits. I think it made her day. 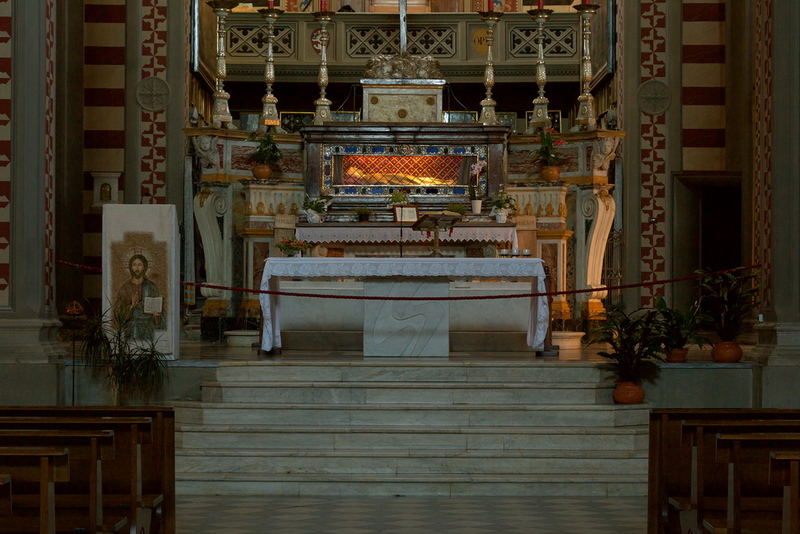 The main altar with Santa Margherita’s body encased in glass. 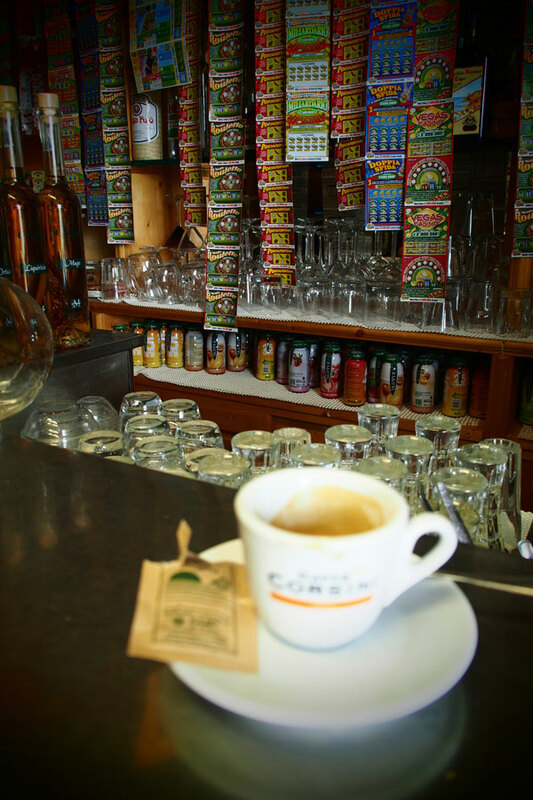 Leaving the church, I headed for the bar nearby at the top of the mountain for a much needed caffe, to get me right back into this world after hanging out in that other worldly state with Suor Teresina. 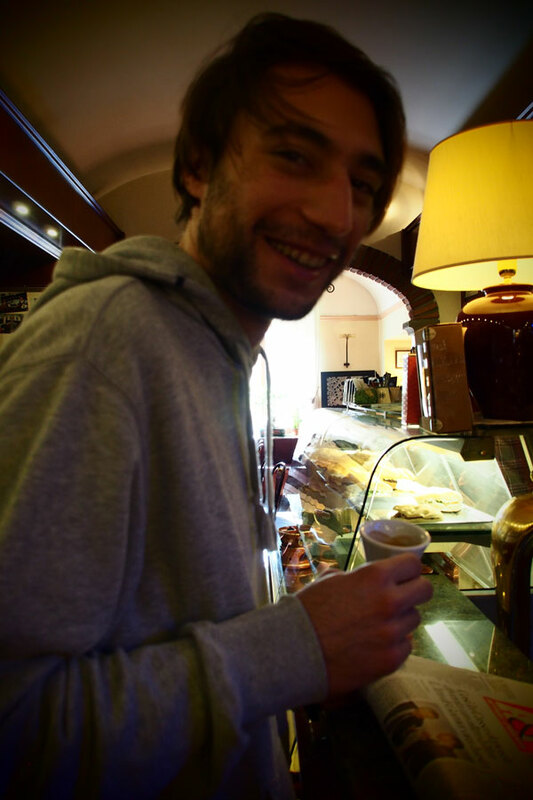 Nothing like a sweet, excellent caffe at an Italian bar, one of life’s most deliziose pleasures. I then continued my walk around the backside of the mountain. 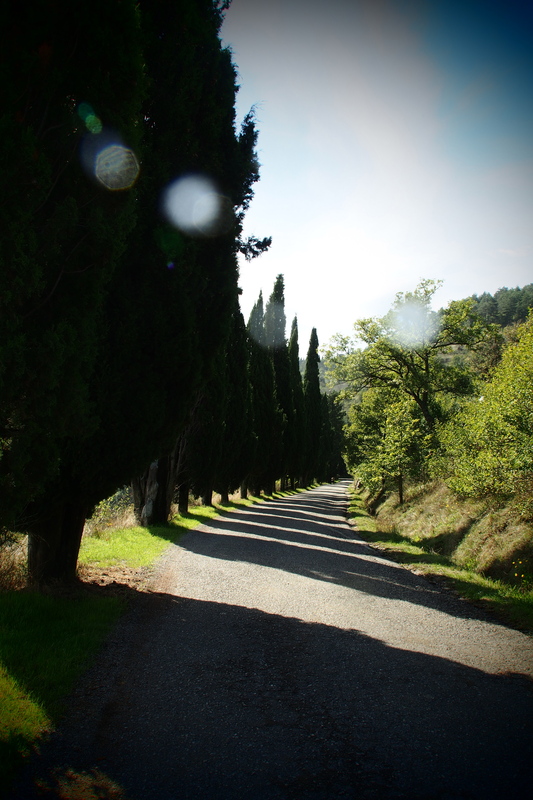 The Roman road that extends around the mountain. We used to walk this road all the time into town when I lived out near here in 2001-2002 with Rob and the kids. The fountain at the entrance to the parterre, the park. And finally, calling Francesco, (my son Jesse’s best childhood Cortonese friend who is also MY adoptive Italian son – and telling him to get out of bed at 1:00 pm and meet me at Bar Saletta for another caffe. Mi piace multissimo! 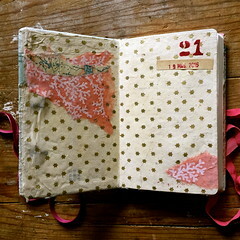 My Italian is rusty… love this and the pix and look forward to being there someday. So glad Johnna and family will finally get to visit! Ciao. 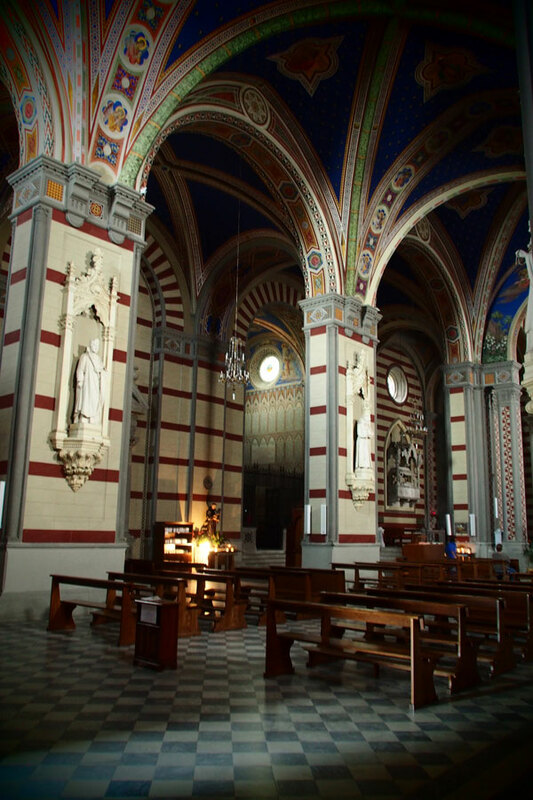 I see HER, behind the altar, Santa Margherita, wow, amazing. And Sister Teresina, I am so glad you took her picture, to put a face with the name. 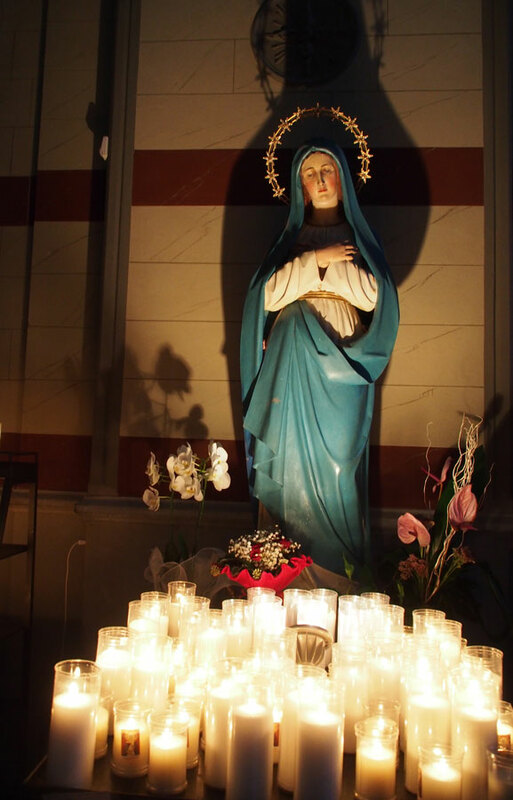 I love the little alcove, with the Madonna, candles, and I can just imagine you praying, praying, praying. Thank you Stacy – it was a beautiful story I enjoyed very much. Oh boy, I sure would have loved to have been there with you!!! Amazing images and looking at the photos of your walk…….i so love that walk up and down and back through the park. sigh……..enjoy!! 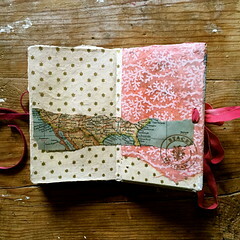 This is one of my favorite posts IHeard…posts ever Stace, thank you for this, makes me want to come back to Cortona pronto! Wonderful story. Thanks for sharing. Peggy and I enjoyed a walk up there when we were in Cortona. As you describe, a beautiful and peaceful place. Stacy this is so beautiful and brings back floods of memories! I miss you dearly and I can’t wait to see you again! You are truly a beautiful human being and this is proof of that. Your photography is beyond amazing and I can’t wait to read more of your blogs. I love you with all my heart and please say hello to the group for me and tell them that I miss them dearly. I love you and I can’t wait to read more of the beautiful town of Cortona. Ciao Bella. The pictures was so amazing and it seems like its a very Holy and Peaceful place. The story in the blog makes it more interesting that makes you want to know more about it. Very beautiful. Kudos to the blogger.